Inside the ASUS Zen AiO Pro comes incredible performance to match its stylish looks. You'll find the latest Intel i7-6700K processor performing at blazing speeds. 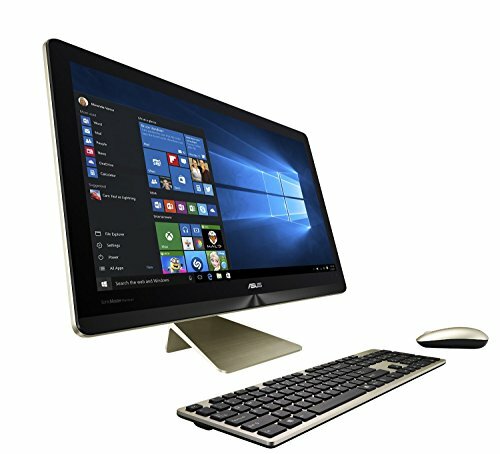 From video editing to gaming, enjoy doing everything with no hiccups. .
ASUS elegant and SUPER FAST All-in-One Z240 Pro Series PC is packed with Intel's EXTREME-power Core i7 processor i7-6700K QUAD at TURBO BOOST of 4.2GHz , it is topped off with 16 GB of RAM for SUPREME performance and comes with a MASSIVE 2 TB hard drive that will last and last! If you have any questions about this product by ULTRA Computers, contact us by completing and submitting the form below. If you are looking for a specif part number, please include it with your message.